Ongoing Process Automation Consulting Services, Inc.
... is a group of knowledgeable engineers with over 30 years of experience in Industrial Automation and Control Systems. Please take a look at our additional links and Youtube videos below. Please click on the You Tube™ Link below or above to watch a short video on the prefered machines. 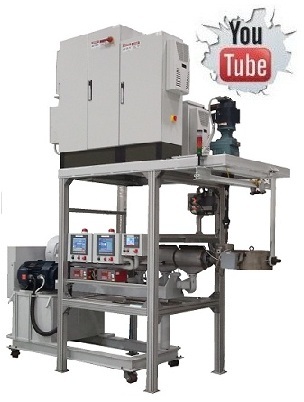 Monofilament Extruder with EtherCAT Communication. Monofilament Extruder with Modbus TCP/IP Communication. 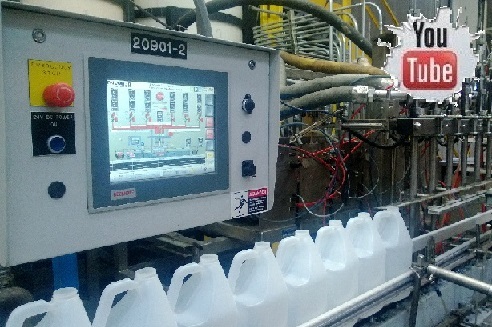 Fill Line (Six Position) with Beckhoff Controller. Fabric Inspect, Measure and Cut Machine. Building Automation Quick Demo Video. 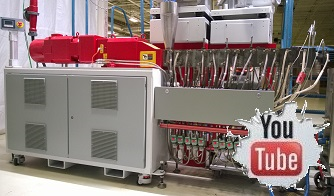 Twin Screw Extruder with EtherCAT Communication. 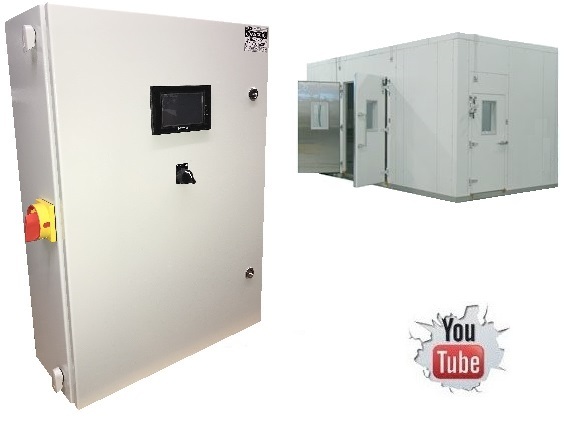 Extraction Booth Controller with Modbus RTU Communication. 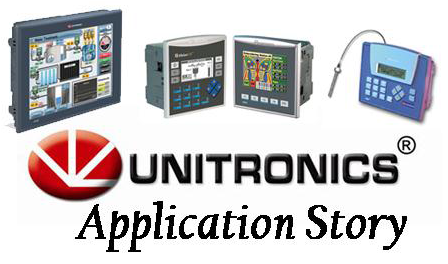 Unitronics Application Story, November 2012. 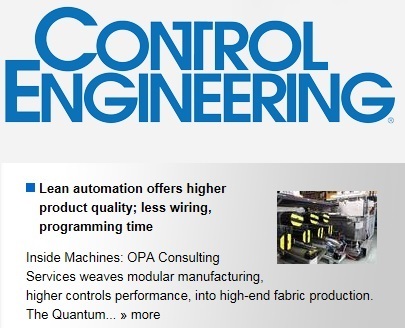 Control Engineering Article October 2014. How can you give a gift of hope to a family across the world? Let Heifer do it for you! Your inspirational gift will help provide livestock, seeds, or training to a family struggling with hunger and poverty. We'll make sure your donation goes to those who need it most this holiday season. Please take a look at the White Papers on how OPA Consulting Services and Reclaim Filters & Systems helped Heifer International go Green at their corporate facility. Our staff of experienced engineers are ready to help you reach your corporate goals. We are an engineering service provider, focusing our efforts in the industrial process control to provide the latest proven technology. We concentrate on understanding your specific control and automation needs and work with you to provide the right automation solution. OPACSI has the knoledge and expertise to offer our clients an unbiased solution using current off the shelve technology. The goal of our staff is to work as a team in order to better understand your needs and providing them with the right solution from development to production. Description: Self-contained unit with stainless steel self-cleaning filtration system and onboard ozone recirculation. Supplies up to 125 gallons per minute with three inch inlet option. Filtration down to 25 microns absolute with 10 microns optional. 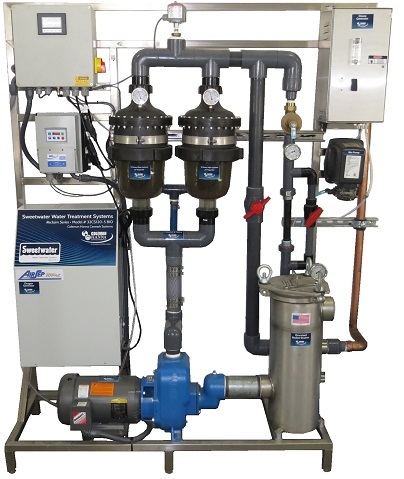 Ozone recirculation system is complete with oxygen concentrator, ozone generator, mazzei ozone injector and recirculation pump to provide 25 gpm of ozonated water out to your treatment tanks. Ozone removes VOC’s, organics, biologicals and hydrocarbons from the treatment water providing disinfection, odor and color removal. See tanking data sheet for example treatment tanks. Description: This floor standing automatic drop weight Impact Testing Machine (ITM-400) is designed to deliver between 10 to 400 lb. of energy to the product under test. The test method is to raise a pre loaded fixture to a specific height then release it to free fall on the product under test. The cycle time is adjustable from 5 seconds to hundreds of hours. 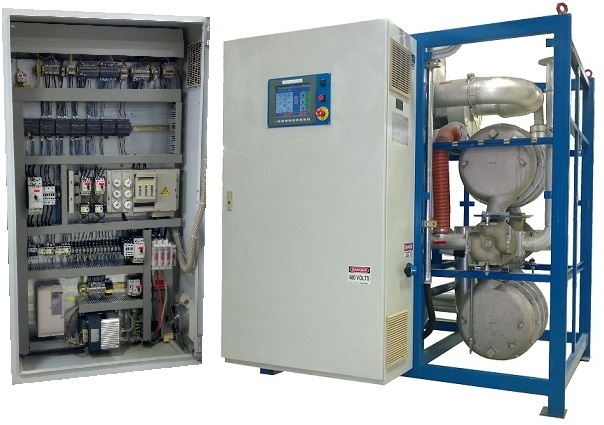 The standard model includes basic instrumentation and a conveniently mounted machine controller that enables the operator to run the machine and collect basic data. Description: The compact MZT101 multi zone temperature/process controller is extremely versatile and user friendly. 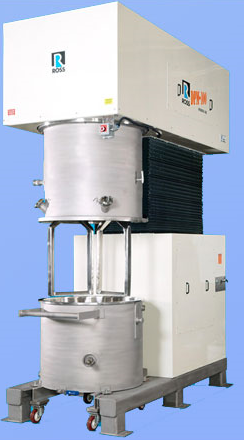 Very useful when it comes to rebuilding of extruders and downstream extrusion equipment. 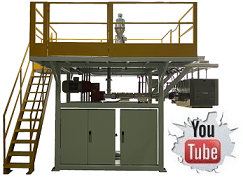 The machine operator needs to review only those parameters relevant to the particular application (extrusion process) during setup. A graphical touch screen and pre programmed function keys display offers optimum process information at a glance. The display identifies the status of outputs, alarms, digital communications (Modbus TCP/IP), and special options. Up to 24 built-in PID loops, including internal auto-tune, ramp-soak programmer and bumpless transfer. Use MZT101’s PID loops to economically and efficiently combine accurate process control with the flexibility of a PLC. Use MZT10’1s smart data tables to log dynamic data and to store production recipes. 120K for recipes parameters, datalogs, etc' and 192K for read-only data, ingredient names, etc’. Simply scroll between pre-programmed recipes or menus, using arrow keys or touchkeys. This enables you to choose and activate a desired task via the HMI immediately, on-site. Press the touchscreen for a few seconds to enter the PLCs Information Mode, providing you with powerful diagnostic capabilities. Price: From $7,800 and up depending on the sizes of the Motors and Heaters. We took an existing popular name brand of Dry Air Dryers that operate on the principle of absorption and made it more user friendly and easier to maintain. The compact AD-RE-CT800 multi zone temperature/process controller is extremely versatile and user friendly. Very useful when it comes to rebuilding of Dry Air Dryers and Vaccuume Loaders. Essentially we replaced the aging and hard to program Siemens S5-95U PLC and a OP7 HMI with a Unitronics V1040 PLC and HMI. 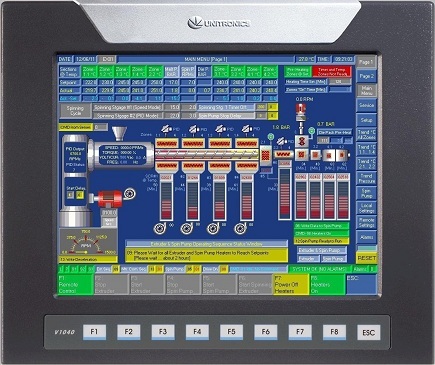 A graphical touch screen and pre programmed function keys display offers optimum process information at a glance. The display identifies the status of outputs, alarms, digital communications (Modbus TCP/IP), and special options. We also added a safety feature by adding a E-stop circuit to turn off control power to prevent injuries and protect facilities and equipment. Price: From $28,500 and up. Description:Finally a simple robust reclaim system that will not break the bank. Save up to 120 gallons per minute, with the dual element system, with 32 internal hydrocyclones to spin the dirt right out of your wash water. Clear Lexan bowls let you see the removed particulate. 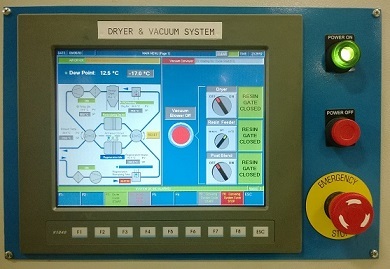 Graphic PLC monitors the system, providing water on demand and performs the self cleaning function. When not needed the VFD controlled high efficiency motor slows to recirculation mode. Optional ozone removes color and odor and the optional bio control gets rid of surfactants, keeping your storage tank water fresh. Slim design fits easily into most equipment rooms or wash bays. • H: 54 " , L: 20 ", W: 66 " H weight 615 lb (shipping weight 740 lb). • Input power: 208/230/480 volt, 3 phase @ 13.1 / 11.5 / 5.7 amp max (50 or 60 hz). • Control Power: 115 vac, 60 hz 2.5 amp, or 230 vac 50 hz 1.25 amp. • Automatic Control: On/OFF/Automatic push button control with display screen. • Primary Pump: 3 or 5 HP pump, 120 GPM @ 65 max PSI. • Particulate Separator: 16 or 32 Self-Purging Vortex Filters with clear Lexan bowl. • Inlet filtration: Oversized Stainless Steel Cleanable Basket Strainer lint filter. • Primary Filtration: single or dual element cyclonic separators with filtration down to 10 micron. • Water Inlet: 3" FNPT . • Filtered Water Outlet: 2" FNPT. • Purge Outlet: 1.5" FNPT. • Self Cleaning Cycle Time: 7 seconds. • Recirculation via 1" FNPT preset pressure regulator valve on. Price: Please call or send us an E-Mail. Description: This System is a very simple fan and lighting control unit. It runs reliably and smoothly for convenient and precise operation. We use the best and UL certified components. 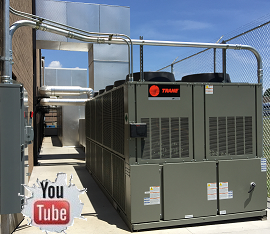 Designed with you "the customer" in mind offering an easy to use system and less maintenance so you can spend more time focusing on your business rather than worrying about your equipment. We do recommend a Licensed Electrician to install the panel. • Easy to use Two Button Controls. • EATON ISO 9000 Certified Control Components. • 22mm Industrial Strength Two-Position Selector Switches. • Built in North Carolina, USA by a NON UNION SHOP. Description: The HD-Assembly Winder is a fully electronic assembly winding machine with motor spindle drive. 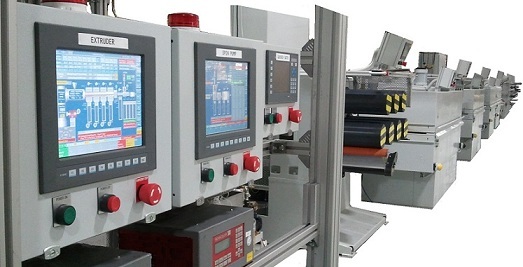 The HD-Assembly Winder combines the high production speed of conventional systems with the advantage of an assembly winding concept which inserts a protective twist. We managed to take out all the Legacy Controls and Electronics and equipped it with new off the shelve components. 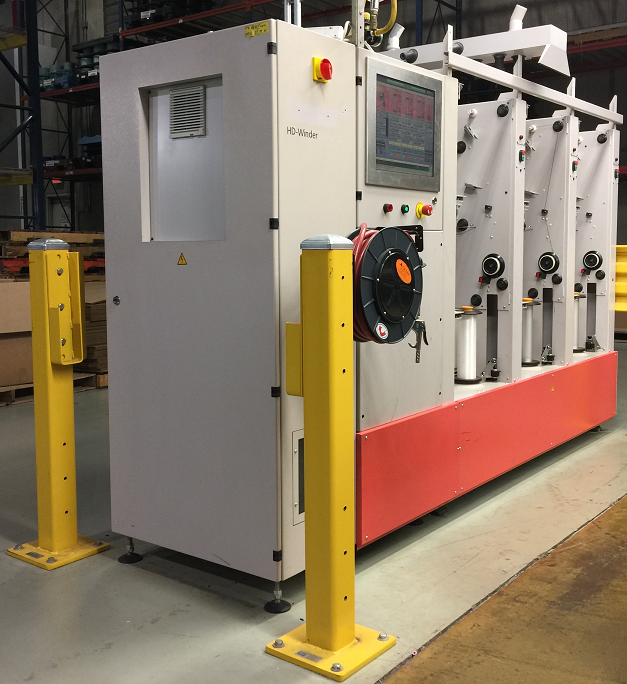 We used PC Controls from Beckhoff as the main controller and the Kollmorgen AKD Series Servo Drive for the traverse axis replacing the Stormag Drive. We used Omron drives for each of the spindle axis instead of the Hamel/Saurer custom VFD drives. © Copyright 2009 OPA Consulting Services, Inc. Designed by: OPA Consulting Services, Inc.